Passion, authenticity, discipline, self-confidence, modesty, decency, professionalism – Clive was an ideal author to work with. He was open to changes in the plot, line editing, deletions and additions, but he also had a very good idea of his own strengths and purpose. 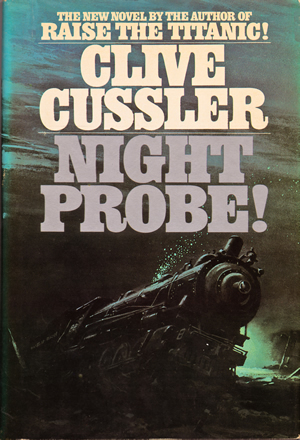 Cussler was an expert marine biologist and underwater explorer. His series hero Dirk Pitt was really himself: exploring the oceans and seas of the world, diving, discovering, bringing up lost treasures and relics. He knew what he was talking about; he’d been there. As his editor for one of his very best books Night Probe, my job was to discuss the concept, plot, characterization and structure of the idea, then work with him through two drafts of writing and re-writing to get it the point where we both thought it was state of the art. I’ve always respected Clive for living the kind of life he wrote about in his fiction, devoting himself to finding lost ships and airplanes underwater, and preserving naval and maritime history. His strengths as a writer and a person were the total commitment and focus on his work as founder and director of the National Underwater and Marine Agency, while at the same time writing more than 20 bestselling books that have sold nearly 200 million copies.